In a lost dimension, light years from our world, super-powered cosmic robots do battle with Cyborg Space Barbarians for the fate of the universe! And soon, their power will be in your hands! I still have a very vivid memory of being very young, being surrounded by my old MOTU figures, and my mother saying to my grandmother, "Someday, he's going to make toys." It's been a long journey to this point. With the help of some humblingly talented collaborators, I've been creating Galaxxor figures, in the form of resin and custom toys for many years. 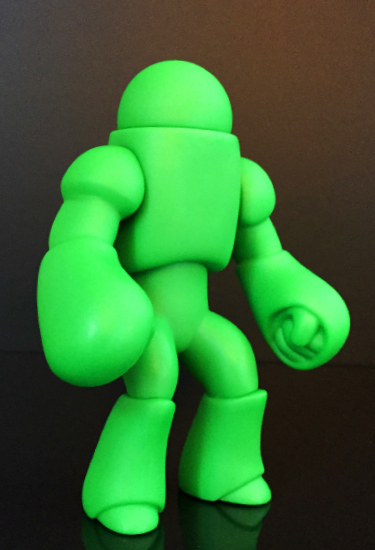 And now, we're about to start a new chapter of the Galaxxor story with full production, Glyos-compatible vinyl action figures! 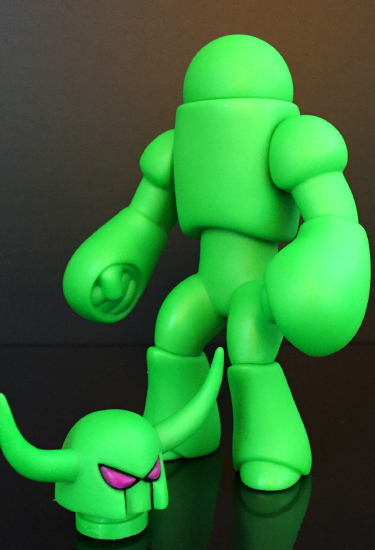 To adequately express how excited I am to be able to bring you production Galaxxor figures would be impossible. As would it be to express just how grateful for the help and guidance of Marty Hansen, Matt Doughty and True Cast Studio throughout this journey. I'm extremely lucky to have had some of the greatest minds in modern toymaking help me to bring you a Galaxxor that is far beyond what I had ever dreamed it could be. 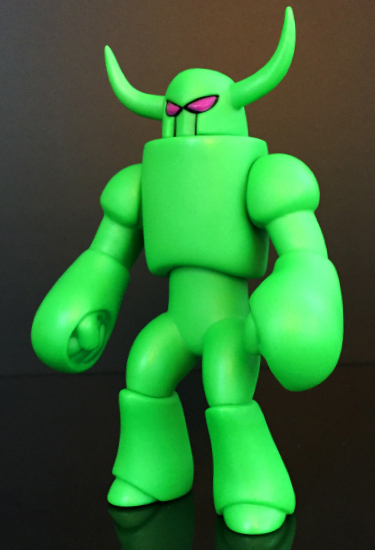 COSMIC SUPERNOVA GALAXXOR/GORGAX: $28 each, Limit 2 per order Produced in a pearlescent neon green vinyl, these 5.5" figures feature Glyos vinyl-compatible articulation at the head, shoulders and chest/waist. They sport purple eyes and black detail lining on the Gorgax head. Each figure comes with both the dome(Galaxxor) head and the horned(Gorgax/Cyber Space Barbarian) head. It's also worth noting that, for this batch, a bit of heat and squeezing to the top of the chest piece will be required to swap out the domed head, once it's removed. I can't wait to get these into everyone's hands! And this is just the beginning. I look forward to bringing you cosmic robotic weirdness for years to come. Thank you to everyone for your support of my little project. It means more to me than you'll ever know.